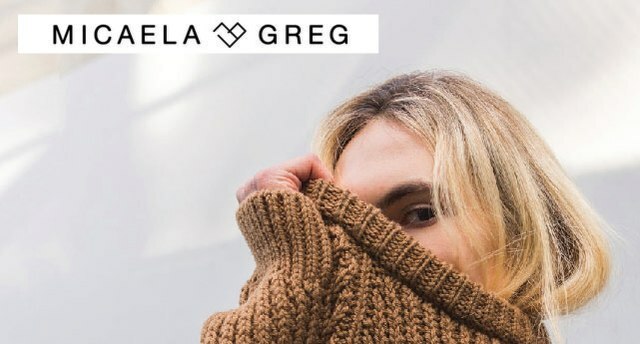 Micaela Greg is a knitwear label founded by San Francisco based sisters, Marie and Karen Potesta. The collection is comprised of super soft knits that emphasize impeccable craft, and timeless modernity while capturing a lighthearted downtown attitude. Micaela Greg focus on designing quality, made to last garments with American manufacturing at the heart of the brand. The majority of the collection is proudly made in the US, and constructed of the finest quality Italian yarns with the softest hand feel. A small number of pieces are made in Peru in Fair Trade factories using Alpaca yarns from the local vendors. There is an importance placed on working with local knitters and seamstresses, drawing on their expertise while supporting local industries and art forms.